Rheumatoid arthritis or RA, as it's frequently referred to, is a condition in the joints that ranges from mild to extremely severe. Rheumatoid arthritis is an autoimmune disorder which makes it very different from other types of arthritis. It's not due to your age or gender. RA is due to your body attacking itself. It attacks the lining in the joints and can result in excruciating pain in hands, knees and ankles. It results in a lot of pain and swollen joints. There are three basic steps to diagnosis. The doctor will want your medical history, then a blood test and some X-rays of your joints to help diagnose the condition. Seronegative is the medical term that is generically applied to any blood test when it comes back negative. It's not specifically related to rheumatoid arthritis. When diagnosing rheumatoid arthritis, a seronegative result means that your blood does not produce the antibodies (rheumatoid factor and anti-cyclic citrullinated peptides) that usually show up when people are tested for diseases such as Lupus or rheumatoid arthritis. While a seronegative result normally means that RA is not present, doctors believe that people with this result could still have RA. However, RA in patients with a seronegative result is much harder to detect. The results could just mean the patient has a lower rheumatoid factor in their blood than patients who test positive for RA, which is referred to as seropositive. Then What Does Seronegative Rheumatoid Arthritis Mean? Seronegative rheumatoid arthritismay indicate that the patient has low level or undetectable levels of the rheumatoid factor. He may have a bone fracture or physical trauma in the first six months of diagnosis. About half of all RA patients are seronegative in the first six months of their illness. However, this level changes as the patient progresses and within 2 years they will no longer be testing negative. There are a variety of symptoms that seronegative rheumatism patients will display. They will complain of aches and pains and even inflammation in their joints. Their hips and knees will be the most affected. However, they may also have nodules which grow underneath of their skin. These will sometimes be visible on the body such as the knuckles. Often, other areas of the body may also be affected. These areas may include the eyes and the lungs. Many patients also have dry mouth and dry eyes. This can lead to damage in the eyes and result in loss of vision. The symptoms can be very challenging to fully diagnose and many patients will have a false negative in the early years of their condition. Doctors are always cautious when diagnosing Rheumatoid arthritis. If the doctor is unsure, he or she will want to take their time and make sure that they are getting an accurate diagnosis. If It Isn't Seronegative Rheumatoid Arthritis, What Could It Be? When someone has Rheumatoid arthritis and they have a negative or seronegative result, they are always monitored more closely. Doctors used to believe that seronegative arthritis was a type of RA but now they believe otherwise. 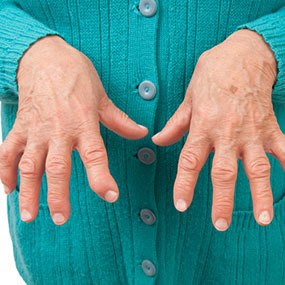 There are 7 basic criteria for diagnosing Rheumatoid arthritis. Only one of these 7 criteria is a titer of RF. One in seven patients will not have any detectable levels of RF and they will be termed "seronegative". There are over 100 types of arthritis. All of these can have symptoms that overlap. A few of the more common forms of seronegative arthritis include osteoarthritis, bacterial endocarditis, reactive arthritis and septic arthritis. Less common types include juvenile onset and adult onset forms of idiopathic arthritis as well as some brought about by bacteria such as Rheumatic fever or Lyme arthritis. To sum it up, seronegative rheumatoid arthritis means that the person doesn't have any of the significant levels of the rheumatoid factor. However, they may still have a form of the condition and it may just be less aggressive. They may at a later date develop the condition in full. With so many symptoms, they may even have another form of arthritis. Experts have classified many different conditions that are very similar to arthritis but have a seronegative factor. One of these is Spondylarthropathy.It may also be referred to as seronegative rheumatoid arthritis, seronegative spondylarthropathy, or BASE syndrome. A lot of the disorders falling under the heading of spondylarthropathy were at one point in time thought to be variants of RA. These disorders are unique in that they do share a common root. They are also all inflammatory, autoimmune conditions that cause arthritis in various parts of the body. While all of these conditions might have arthritis in common, there are also some huge differences between rheumatoid arthritis and spondylarthropathy. Rheumatoid arthritis as well as spondylarthropathy may also be different in how they are presented in the body. Rheumatoid arthritis happens in the joints on both sides of your body. In spondylarthropathy, however, it's experienced asymmetrically. It also happens more in feet and ankles and not just the joints. It may also flare in the spine as well as tendons that are attached to bones. If you are struggling with joint pain and think you may have arthritis, you have many options. Give your doctor a call and find out what you can do for your pain relief.